Everyone’s had nasty experiences with customer service. You’ve got an issue with a product and just as soon as you take the time to call for assistance, an unfriendly, unhelpful voice is talking at you. They’re being rude and obnoxious, and their actions could potentially cost them your business. Customer service is all about the Customer’s experience. If promises cannot be fulfilled by employees in customer service, then business can easily be lost. When customers think about the products they own, they often think back to their experiences with the product. Memories and experiences are highly underestimated. They are more powerful than many believe. That is why is vital to provide exceptional customer service to your customers. It gives them an unforgettable experience that they can associate with a product. Oftentimes, business is created through references. This is a great way to grow a customer base however, it will be near impossible without superb customer service. One way to think about customer service is to consider every successful customer interaction an experience worth sharing with a future customer. Customer service can seem like a hassle to many. However, it is truly one aspect of business that no one should overlook. It is one of the easiest ways to maintain business, but also one one of the easiest ways to lose business. 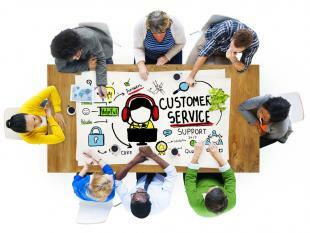 Impressing a customer with service may very well be the single most important aspect of business. Do not take it for granted!